My first taste of this buffalo chicken dip recipe was at a 4th of July party. I ate and ate and ate that dip. I couldn’t believe I had never had it before, because it was soooo delicious! 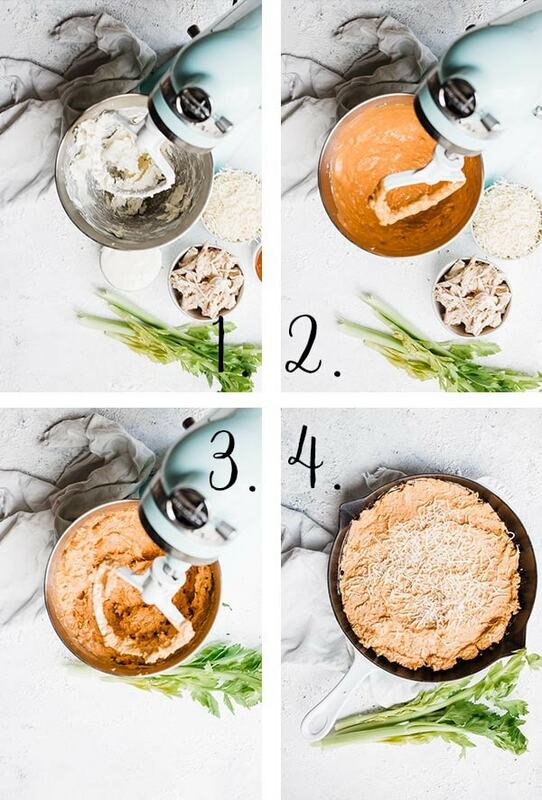 This hot buffalo chicken dip recipe is simple to make, using only 5 ingredients. The creamy, tangy, and hearty flavor are the perfect appetizer for any gathering. 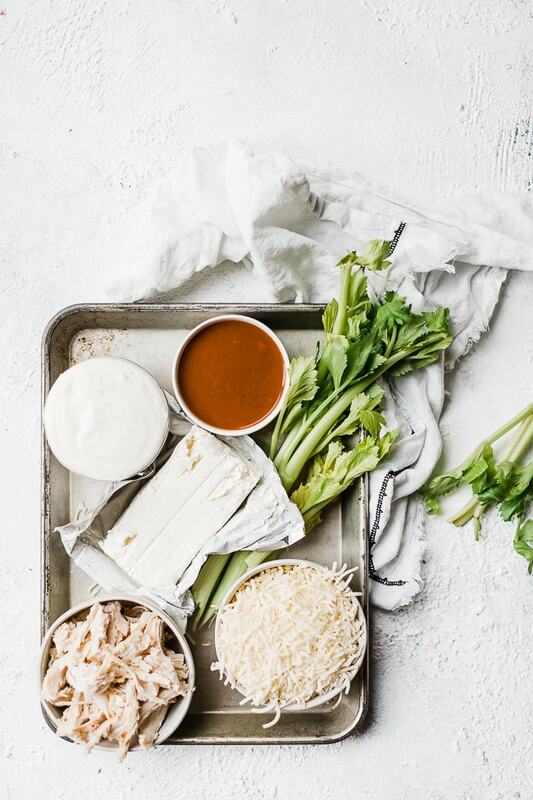 What Do I Need To Make Hot Buffalo Chicken Dip? 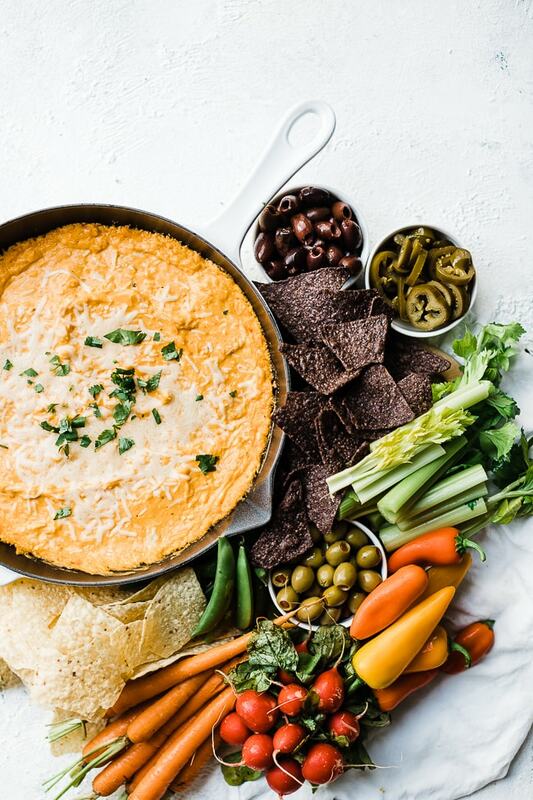 You’ll never believe how easy it is to create this buffalo chicken dip recipe. The ingredients are probably in your fridge. Pro Tip – Sometimes I used canned chicken in a pinch. All ingredients are shelf stable, so using canned chicken allows me to throw this together for guests last minute. How Do I Make Buffalo Chicken Dip? Start by creaming your cream cheese with a hand or stand mixer until softened and smooth. Add hot sauce and blue cheese dressing. Mix until well combined. Stir in shredded jack cheese and shredded chicken. Spread into a cast iron skillet or casserole dish and bake. Pro Tip – Make ahead and keep in the fridge before baking. Pull it out 30 minutes before guests arrive for baking. 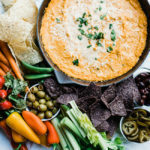 What Do I Serve With Buffalo Chicken Dip? When I have made it – there are no leftovers, so trust me, this needs to be on your list. 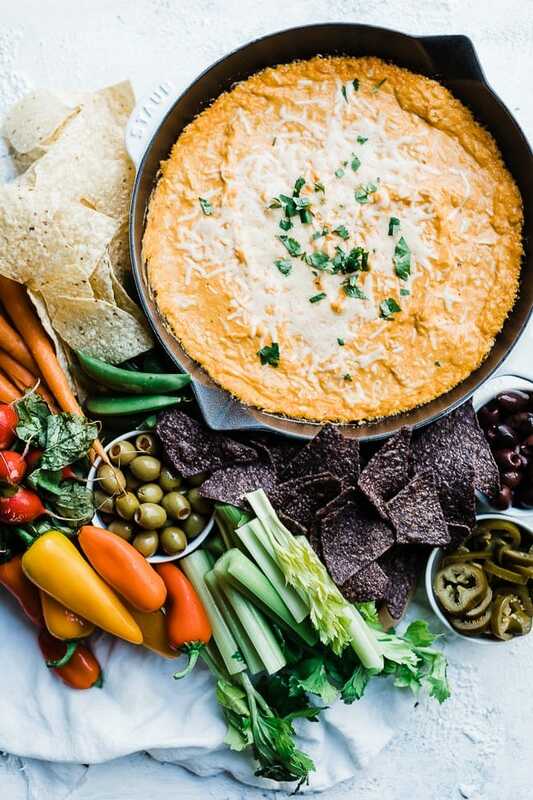 With the classic flavors of buffalo chicken and blue cheese, this buffalo chicken dip will be the hit of the party. Combine all ingredients and mix. Transfer to a 10-12 inch cast iron skillet or casserole dish. Serve with veggie chips, tortilla chips, small pieces of bread, celery sticks, and carrot sticks. Pro Tip #1 - Sometimes I used canned chicken in a pinch. All ingredients are shelf stable, so using canned chicken allows me to throw this together for guests last minute. Pro Tip #2 - Make ahead and keep in the fridge before baking. Pull it out 30 minutes before guests arrive for baking. 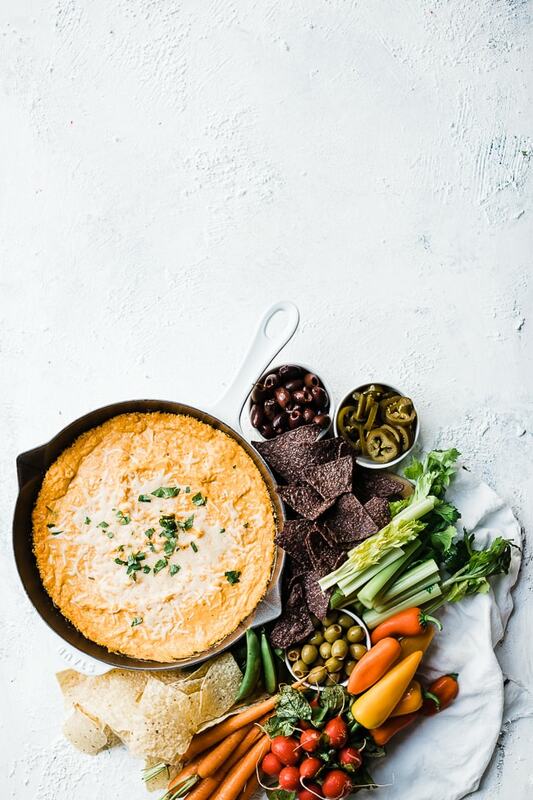 can’t get enough of this buffalo chicken dip!